$12.00 In stock. Order in the next 1 hour, 12 minutes and it will go out today! 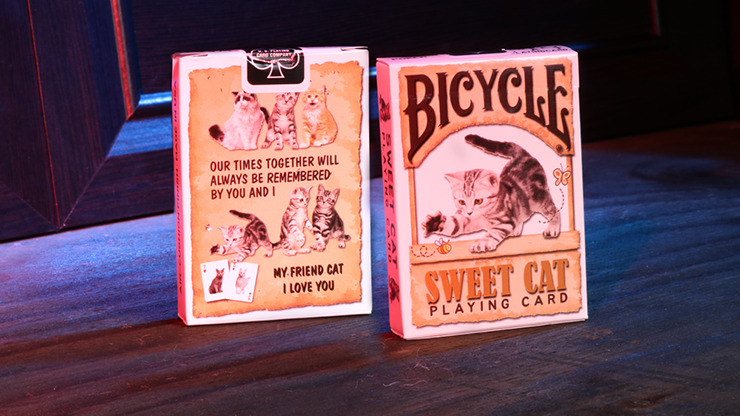 Bicycle Sweet Cat Playing Cards by JL Magic Company are Made in the USA by USPCC. 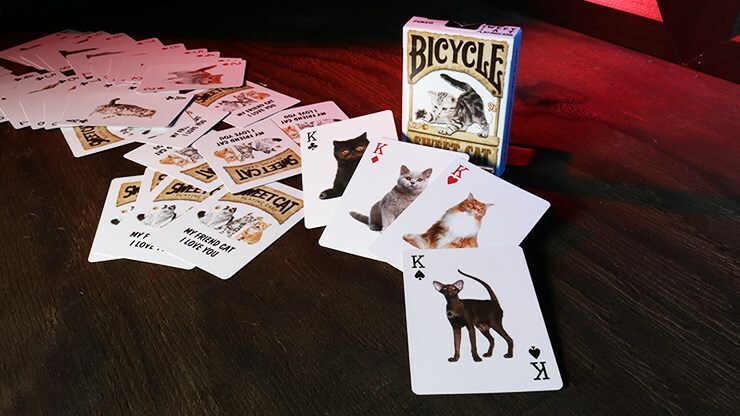 You can help a real homeless cat, too, as 7% of the cards' net profit is donated to abandoned cats. 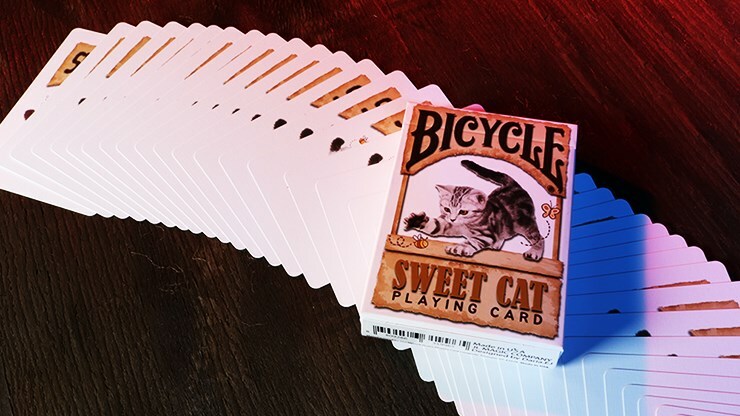 These air-cushion finish cards are delightfully smooth and will make you purr. 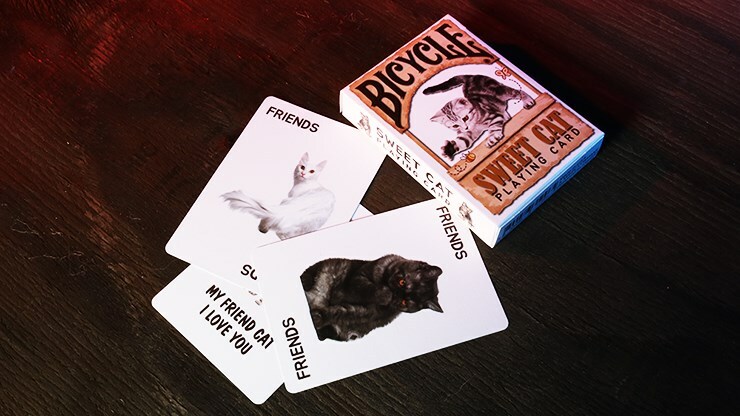 The fronts are playfully sweet, each highlighting a special furry friend. 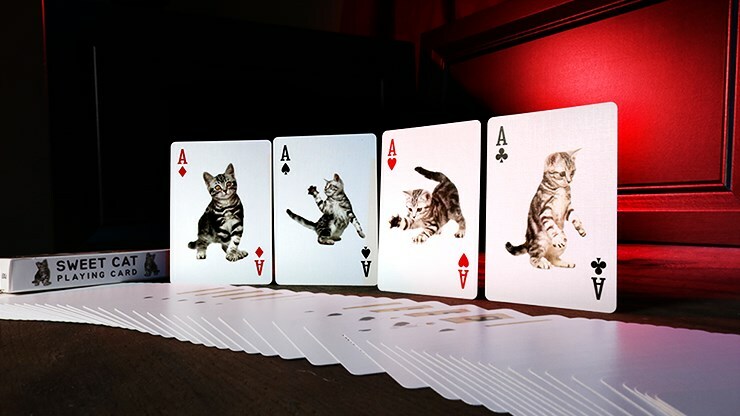 Includes one double-faced cat card for additional magic possibilities. 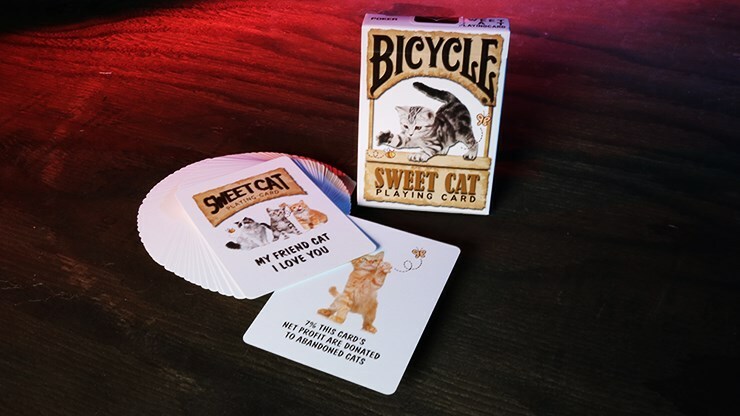 You will certainly enjoy using these Bicycle Sweet Cat Playing Cards, especially knowing that you're helping homeless cats at the same time!